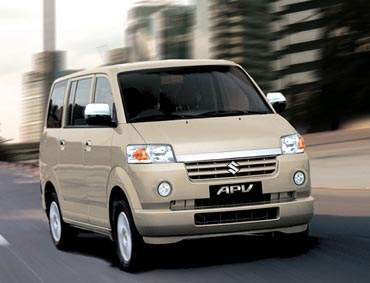 Suzuki Malaysia launched it’s second model, the Suzuki APV (All Purpose Vehicle) here on Thursday. 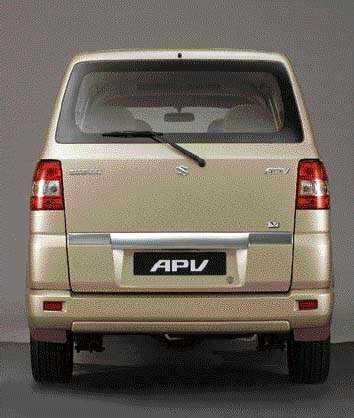 The Suzuki APV is a 8-seater small rear-wheel drive MPV that runs on a 1.6 aluminium block long stroke engine making 92hp. It’s pretty much a van-styled body with a boxy and tall body and the engine under the seats. The car will cost you RM61, 888 for the 5-speed manual transmission, and RM69, 888 for the 4-speed automatic. Not too bad. Cheaper than the Toyota Avanza, since it’s fully imported from Indonesia. However a turn-off for most people will be the looks of the thing. It looks pretty dated. Such designs can KILL a car, like the Proton Juara. But the box design is essential to provide maximum interior space inside. Attempts to somewhat soften the boxy look with a small curvish nose and all. But it ends up looking somewhat like a less classy smaller version of the Nissan Serena, or a Toyota Alphard. The Suzuki APV looks like a promising competitor for the Toyota Avanza, however the small man looking for a budget people mover to bring his big family around would be looking for a car which is cheap to maintain. How Suzuki’s after-sales service and availability of spare parts, and overall reliability of the car would be will make the average small-income man worry. Suzuki has been missing from the Malaysian market from a long time and they don’t have the trust that Toyota has built over the years. However one plus point would be that it is fully imported from Indonesia. Malaysians wet their pants at the sight of the text “fully imported”. Suzuki is targetting 5% of the MPV market with this Suzuki APV. This translates to about 200 units sold per month. Let’s see how they fare.